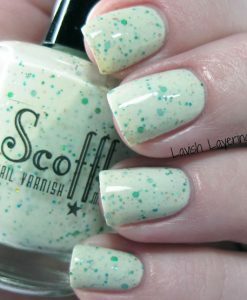 This light aqua mint cream reminds me of tumbled sea glass. 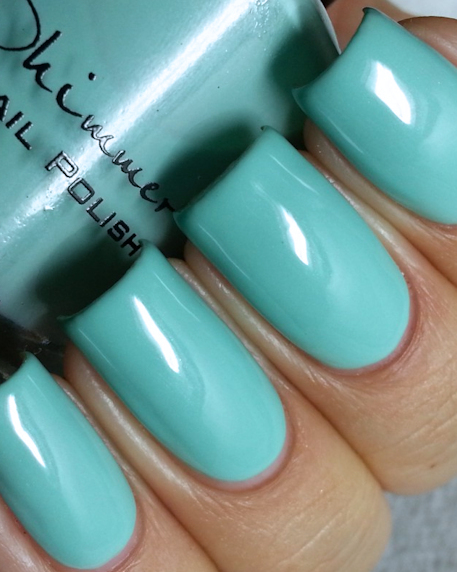 A pastel green with blue undertones and hidden shimmer, this color is covers in 2-3 coats. 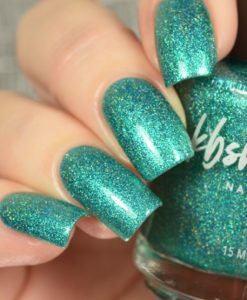 Depending on the light this color can lean more blue or green, as showing in the blogger photos. Notes: Depending on the light, this one can pull a bit brighter. All photos are from the same batch, but lighting, skin tones and cameras effect how the color shows. 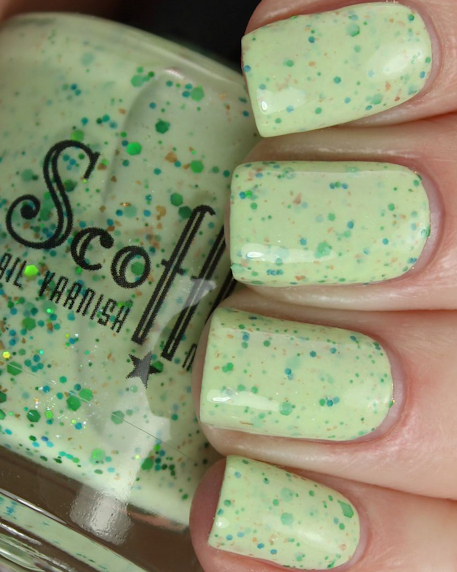 This is not a quick dry polish, we will recommend following up with a coat of quick dry top coat.